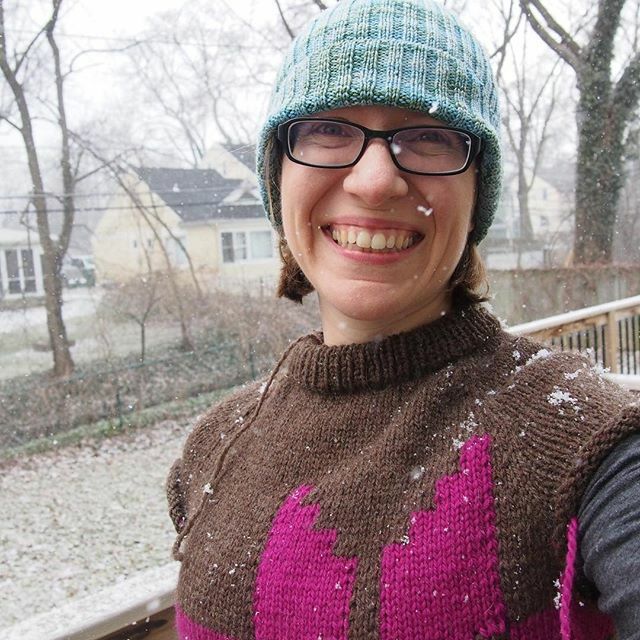 Last night, I finished the body of my Winter Traveler sweater, so today, during a random snowstorm (because isn’t that what you expect on April 8th? ), I took some photos of it. I’m really happy with how it’s turning out; it’s a big snugger than the one in the pattern, because I’m using Cascade Eco Wool (which has a smaller gauge) and deliberately not going up as many sizes as I’d need to in order to get the amount of ease called for in the pattern. I’m slightly wishing that I had gone just a touch bigger, but I also know I’ll get a bit of expansion during blocking, so I think it’ll be fine. 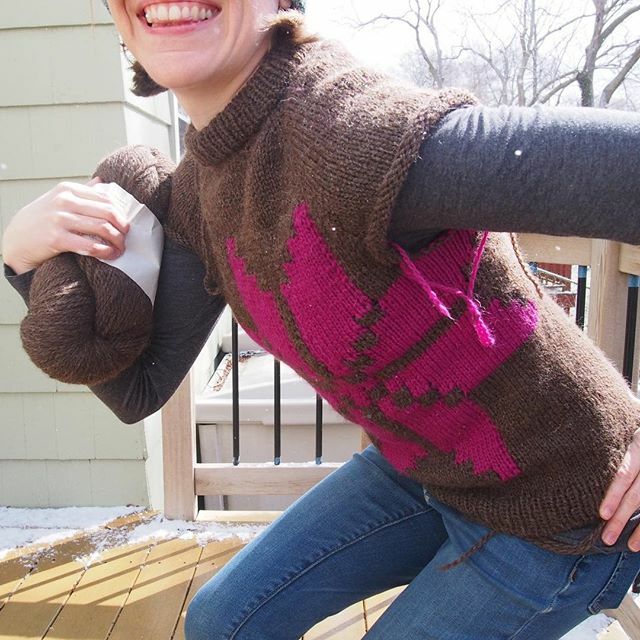 I haven’t yet come up with a good system for taking knitting pictures in the new house; right now I’m balancing the camera on our deck railing, but that means I have to crouch to get the sweater in the frame, and that’s pretty awkward! (And a bit hard on my knees!). I used to have a Gorillapod, which was great for this sort of thing, but I can’t find it anywhere. Alas. 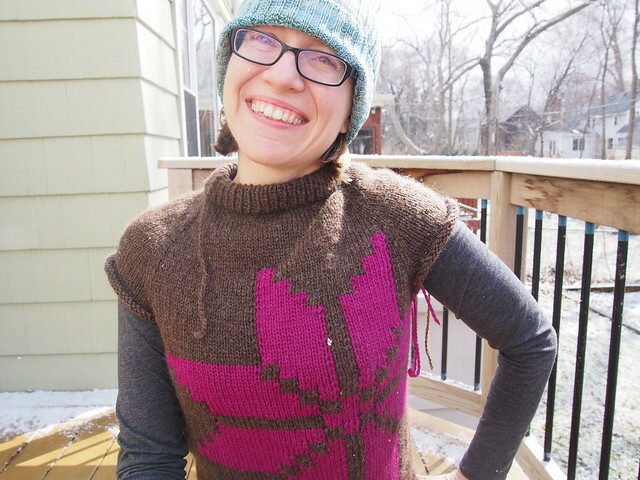 I’m still really loving the folded ribbed neckline, and the brown + hot pink color combination. Next up, winding up the second skein of brown Eco Wool (which will take forever…those skeins have ~470 yards!) so that I can knit the sleeves. Without the intarsia to slow me down (and force me to knit flat), I think I’ll probably fly through the sleeve knitting – and with the way the weather’s been, it may well still be sweater weather by the time I finish! I doubt I’ll finish it by this coming Thursday, but if I do, it’ll be a lovely birthday present to myself!